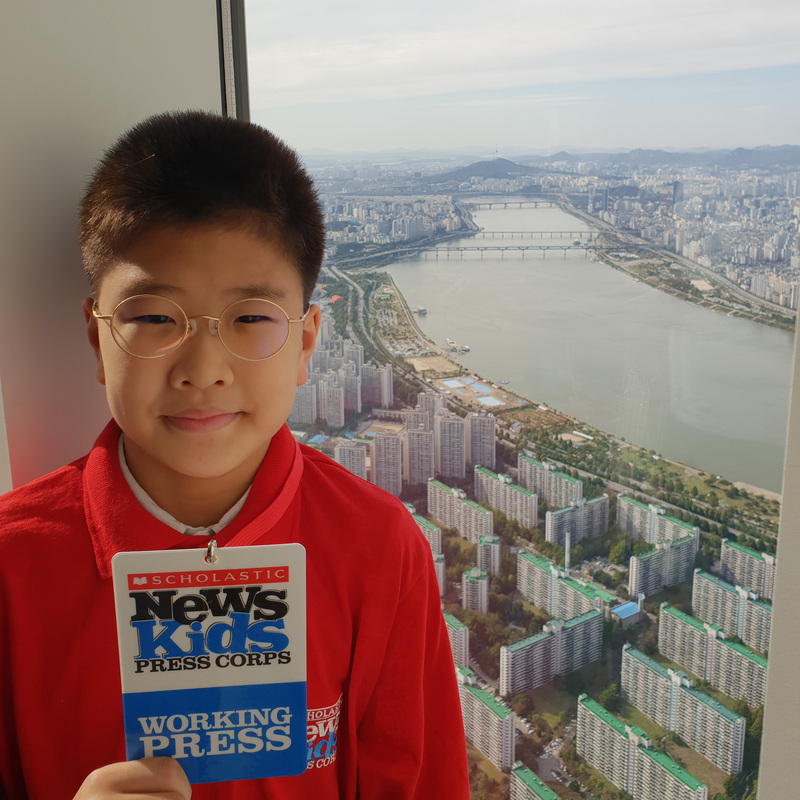 Riding to the Top of the World | Kid Reporters' Notebook | Scholastic Inc.
John visits the observatory at the Lotte World Tower in Seoul, South Korea. The Lotte World Tower is the fifth tallest building on the planet. Located in Seoul, South Korea, it is humming with restaurants, cafes, movie theaters, a hotel, offices, apartments, a museum, and an observation deck. The 123-story tower even has its own anime characters. Locally, the building is known as the Seoul Lotte Tower. It is about 1,820 feet tall, making it about 50 feet taller than One World Trade Center in New York City. Since the Lotte Tower opened in the spring of 2017, it has been a popular destination in Seoul. Upon entering the tower, visitors encounter a dramatic television screen covering three walls and a security check-in. Next, a brightly colored room is embellished with decorative Korean roof tiles, which are called dancheong. The glass-bottomed observation deck adds to the drama of the 360-degree view. Visitors can then ride the world’s tallest and fastest double-decker elevator. “It truly is a fascinating elevator,” said Chemin Lee, an 11-year-old girl who was visiting the tower with her mother. The ultimate destination is the glass-bottomed observation deck. Using a telescope, visitors can look out over the Seoul skyline, seeing buildings and the mountains beyond.